You don’t often see a new twist on this hoary old topic but Rempel has a singular take that’s worth adding to the mix: he maintains that a big determinant is how you invest. If you’re a cautious fixed-income oriented investor he recommends investors should delay the Canada Pension Plan till 70, but more aggressive stock-oriented investors should consider taking it early, perhaps as soon as age 60. Many advisers calculate a breakeven point, which is when a client lives long enough that the deferral starts to pay more after catching up to the early deferred payments. Toronto-based Rempel, who is also a tax accountant, points out that once retired, taking CPP early means you don’t have to withdraw as much from your investments, allowing them to grow (assuming you’re in equities that grow). His “breakeven” age calculation compares the higher future income, from letting investments grow, to the higher income available from delaying CPP and/or Old Age Security. 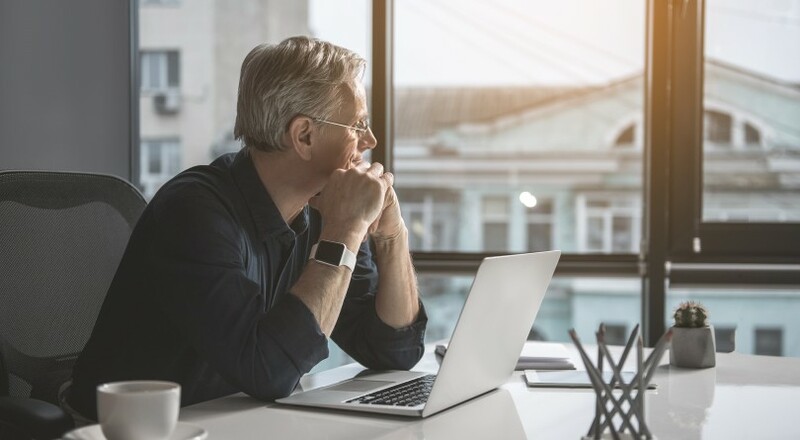 The two biggest considerations are the expected return on investments and the difference between your marginal tax bracket at age 60, versus 65 or 70. Since expected return depends on how you invest, much depends on whether you’re a stock or a bond, to crib from the title of a Moshe Milevsky book (Are You a Stock or a Bond?). Rempel is fine with most balanced investors taking OAS as soon as it is on offer at 65: particularly if they plan to take the Guaranteed Income Supplement. As it happens, and as I have written in this space before, this is my own plan: I took OAS at 65 earlier this year but will delay CPP closer to 70 unless I need the money earlier than expected. I have no plans to take the GIS. Rempel has tackled the timing question on his Unconventional Wisdom blog a few times, notably here and here. For those who qualify, the maximum monthly CPP benefit in 2018 at age 65 is $1,134,17 per month or $13,610 per year. You can start as early as age 60, but you get 7.2% less for every year before age 65. If you start at age 60, you get 36% less, so the maximum is $8,710 per year (in 2018). However, there is no one-size-fits-all recommendation. One of several critical factors is life expectancy. If you don’t expect to live long, then you can collect for five more years by starting at age 60 rather than 65. Rempel says a 60-year-old of average health can expect to live to 84 if they’re male and 87 if female. But the single most important factor in whether to take CPP early is how you invest. In his blog, Rempel cites several client examples. At 59, Angela is ready to retire, has no investments and has only a fixed pension that’s not integrated with CPP. Since she expects to live longer than her breakeven age of 75, Rempel suggests she defer taking CPP until closer to 70. Same with Brian, a conservative GIC investor (mostly in registered plans) who is about to retire. With a breakeven age of 77, he should delay taking CPP until later. Even a moderate balanced investor, Chris, with an expected annual return of 5% and breakeven age of 82, Rempel suggests taking CPP later. But it’s different for Dave, an aggressive equity investor who is expected to average 8% returns per year. That’s conservative compared to the average 10 to 12% long-term return of the stock market but with a breakeven age of 93, Rempel recommends Dave start CPP early. So should Erin, who wants to keep working for $50,000 a year, with a breakeven age of 86. If she were a GIC or balanced investor Rempel would recommend delaying CPP but if she’s an equity investor she should start CPP early. Finally, Fred is still working for $100,000 a year and is an aggressive investor expecting to earn an annual average of 7% return on his stocks, with a breakeven age of 87. Normally, with CPP taxed on top of his salary in a top tax bracket, advisors might suggest deferring CPP. But Rempel recommends Fred should start CPP early because he has lots of RRSP room, can request no tax withholding and can then contribute the full CPP benefit to his RRSP to offset the tax. True, some people retire at 65 and have little in the form of other income than CPP and OAS, in which case they have little choice but to start receiving benefits. Rempel suggests most 65-year-olds who are retired should take OAS, which goes double if they also qualify to receive the Guaranteed Income Supplement (GIS) to the OAS. So, what do other financial professionals think of taking CPP early, or at least not as late as 70? Warren Baldwin is a recently retired financial advisor (formerly with T. E. Wealth), and “guestimates” the value of the CPP fund to pay you the pension at age 65 is at least $250,000: more if you factor in its inflation indexing. The latter is an important consideration, especially for those (like Yours Truly), whose Defined Benefit pensions are not indexed to inflation. Baldwin took his own CPP at 66, a year after his final year of full-time employment income. He did so “mainly for the cash flow and portfolio maintenance.” As in the case of Rempel’s early-CPP clients, Baldwin has a fair portion of his portfolio in equities. If a retiree’s marginal tax bracket jumped from 35% to 45%, Baldwin says deferred CPP would face a heavier tax load, while if benefits are taken earlier they would be taxed at more modest rates. And if retirees also have significant sums accumulated in RRSPs and RRIFs, the extra income might push up their Marginal Tax Bracket. B.C.-based certified financial planner Fred Kirby says the most important thing is whether you need the money. “For people who do not want to have anything in the stock market, I agree that waiting makes sense.” But equity investors are better off waiting too, Kirby says, given current high valuations of stocks. In short, there is much to consider in this crucial decision. Personally, I will continue to defer CPP from year to year, monitoring the markets and seeing from my tax returns what the cumulative impact of those decisions will be on our family’s bottom line. If it proves necessary to start benefits at 67 or 68, I’d feel no qualms about doing so.